I love raspberries! I was so fortunately that Operation Fruit Rescue invited volunteers to pick at a raspberry Upick one evening. My mother-in-law and I picked buckets full of berries, all ready to fill our freezers for the long winter ahead. 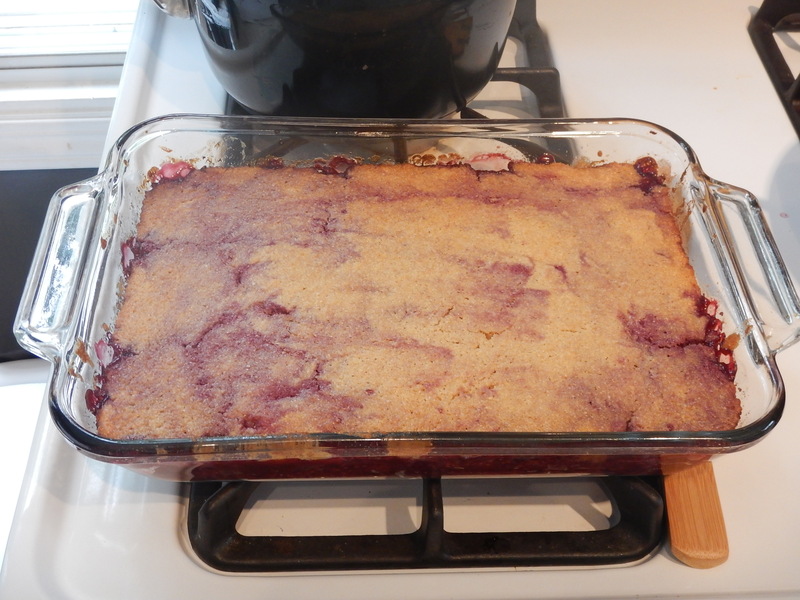 This cake was very simple, and filled my kitchen with the amazing smell of baking raspberries. First things first, melt your butter in the pan you plan on putting the raspberries in. Add your sugar, then your raspberries. Stir it all around until the sugar is dissolved. Add your wet ingredients to your dry ingredients. Then spread it over the raspberries. Bake until the cake is firm. 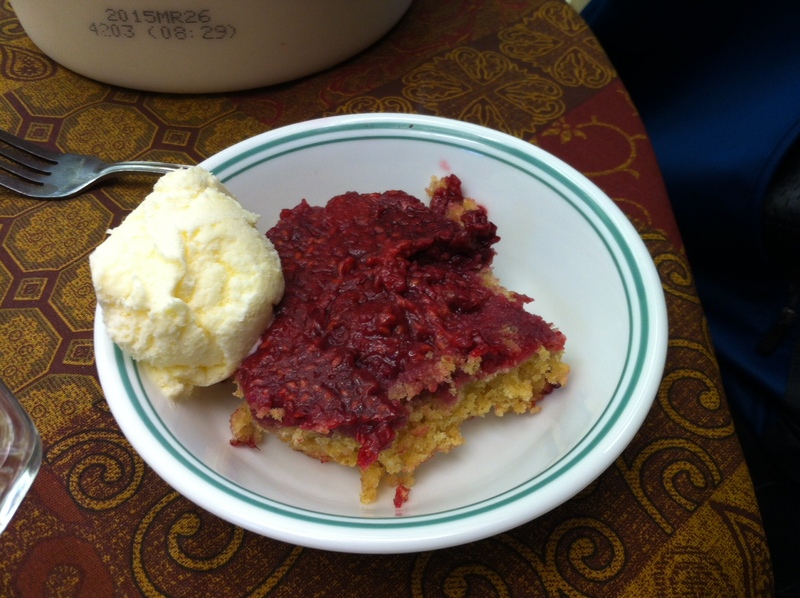 Serve raspberry side up with ice cream or whip cream. Enjoy, a lot! 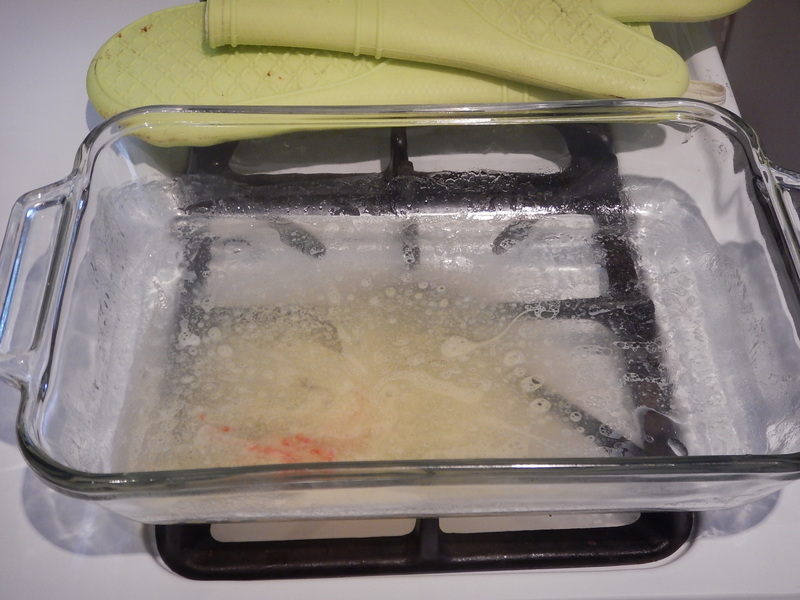 Place 1/4 cup butter in your baking pan. Warm in a 350 degrees oven about 5 minutes or until butter is melted. (Be sure to watch carefully to avoid browning the butter). Remove pan from oven. 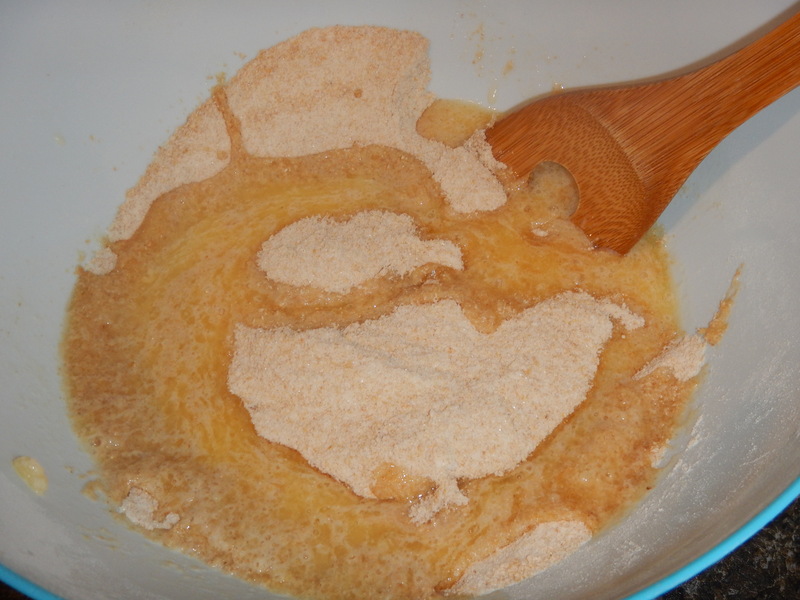 Add brown sugar, stirring until sugar is completely moistened. Spread sugar mixture evenly in pan. 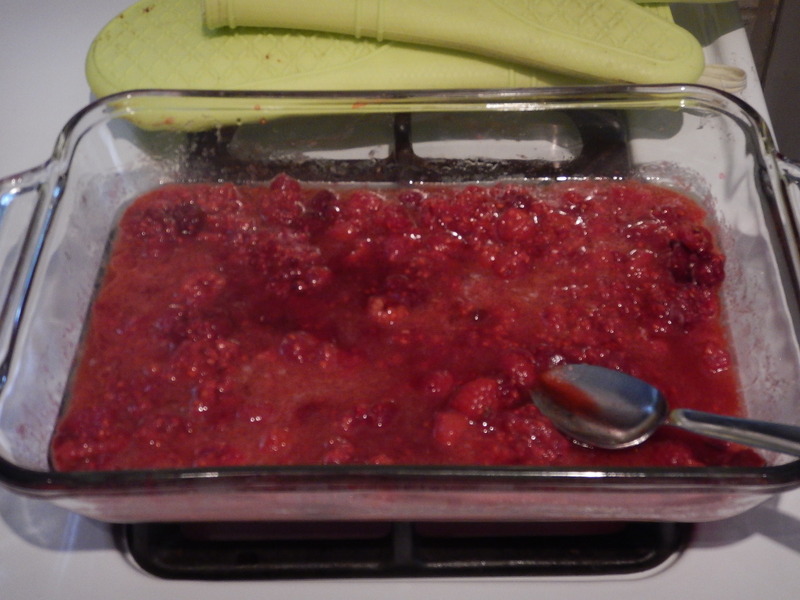 Add raspberries and stir until sugar is dissolved. Set aside. Bake for 45 to 50 minutes or until a wooden toothpick inserted near the center comes out clean. Cool in pan on wire rack for 5 minutes. 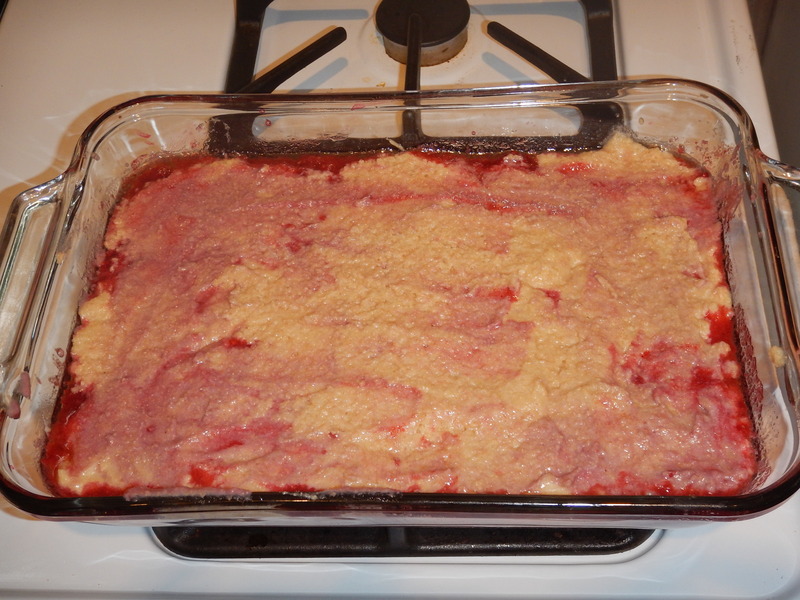 Loosen cake from sides of pan; invert onto a large serving plate (if possible. If not, serve individual pieces upside down). Serve warm with whip cream or ice cream.